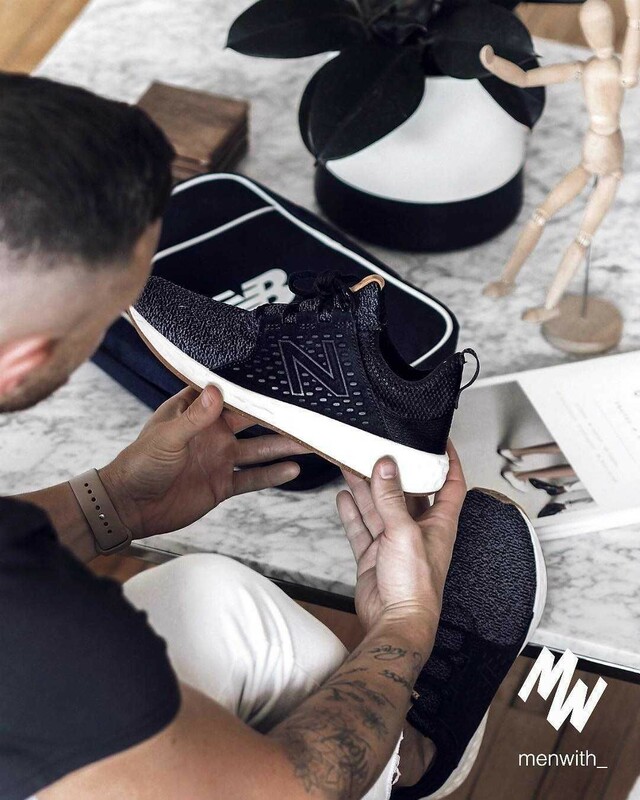 Nicekicks : New Balance MRL247OL ‘Sport Pack’ . New Balance MRL247OL " Sport Pack"
New Balance Vazee Rush ‘Beige’ . Sneakers: New Balance 997 Explore by Sea. Celebrate America’s history of adventure and craftsmanship with the New Balance 997 Bespoke Explore by Sea. Designed and crafted in New England from American-sourced materials, this men’s sneaker features Chicago Horween® leather and design details inspired by nautical voyages and vintage schooners. Sneakers: New Balance MD 1500 FG . New Balance described this 1500 as "the closest thing yet to the perfect running shoe". First released in 1993 this model became an all-time-favourite among running-sneakers. Sneakers: Wings+Horns x New Balance 580 deconstructed. The wings+horns x New Balance 580 Deconstructed is made from laser-cut panels of premium leather, and finished with a signature whipstitch heel. True to the 580’s legacy of innovation, a Neoprene mesh sock liner is integrated with a cushioned REVlite sole for an effortless balance of comfort and breathability. As the 580 enters its third decade, New Balance and wings+horns are proud to offer this collaborative effort, driven by a mutual respect for classic design, considered materials and quality construction.